From Bob Glass in CT, comes this unique and hefty glass sherlock pipe with translucent cobalt glass and a see through, worked and fumed window disc on side. Maria rings in the middle and color wrapped carb for even more class. 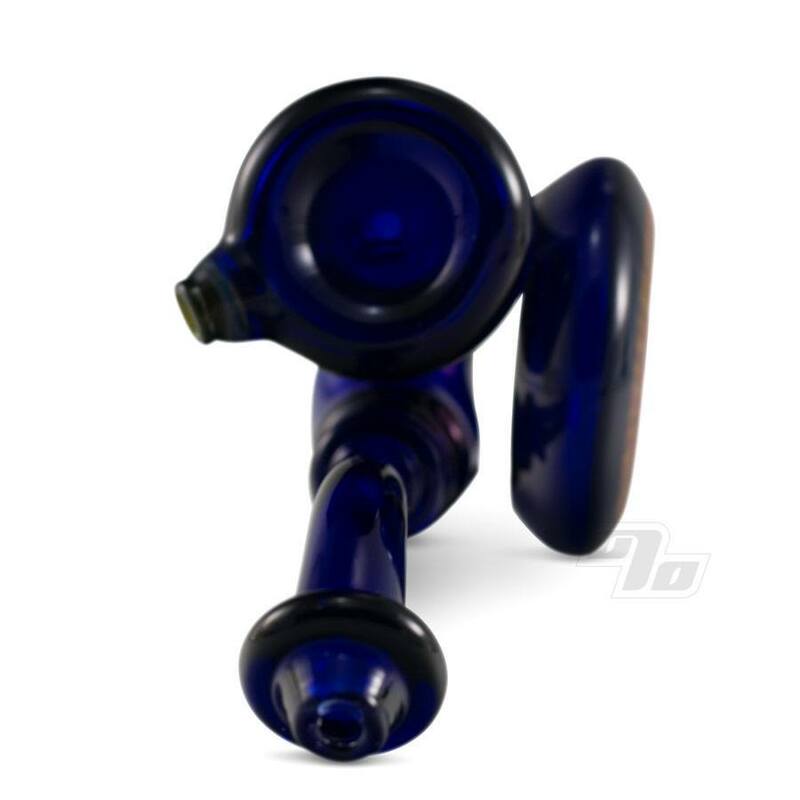 This sherlock pipe measures approx at 4" long x 6” tall with a 3" attached disc on the side. Lays flat on it's back or side.